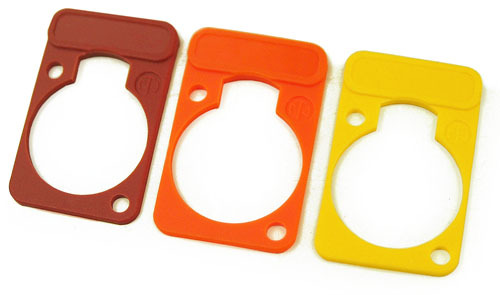 The Neutrik DSS colored label plates are used to easily identify how particular jacks are being used in a rack. Besides color identification, the plates have label areas which allow the user to apply stickers or even write on with a sharpie. The plates are installed behind the jack during installation on a rack panel. The DSS plates work with all "D" series panel jacks (XLR, Speakon, Powercon, etc.). Provides label area above jack. Great for identifying input and output jacks.